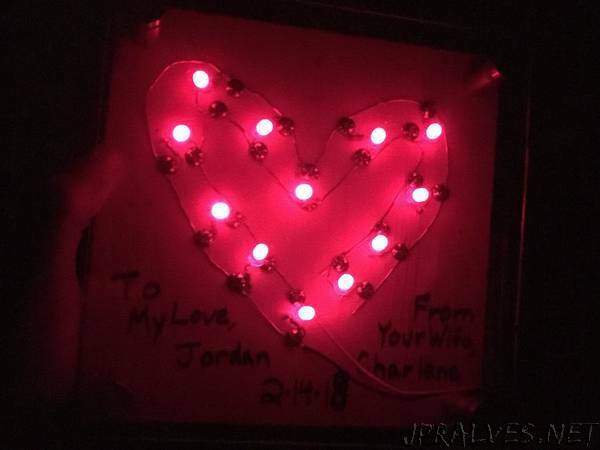 “Create a free standing and battery-powered LED heart for your sweetheart! Ah, Valentine’s Day. What’s a nerd to do except somehow use it as an excuse to build something? My husband can be weary of homemade electronics, so it needed to be something that did not look like it would catch on fire. I decided to make an LED heart that was battery powered, with a switch for easily turning it off.